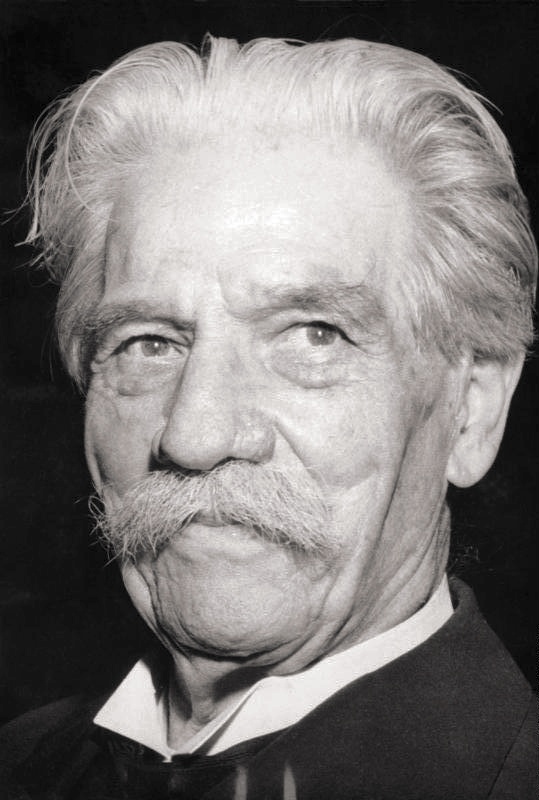 Albert Schweitzer, OM (14 January 1875 – 4 September 1965) was a French-German theologian, organist, philosopher, and physician. He was born in the province of Alsace-Lorraine and although that region had been annexed by the German Empire four years earlier, and remained a German possession until 1918, he considered himself French and wrote mostly in French. His mother-tongue was Alsatian German.